Did you know that warm hands mean much more than a comfortable handshake? Warming your hands can actually have a positive effect on your health, your relationships, and your sleep! What scientists measure is the temperature of your hands indoors at a normal room temperature. By warming your hands, you can improve migraines, stress, insomnia, and even chronic pain. Why are all these connected to hand temperature? Your unconscious brain decides to pull heat and circulation from your limbs to keep it in your core. Warming your hands overrides the brain's system, having a positive effect. Doctors in the know have recommended hand warming to people suffering migraines for years. Some dental offices use hand warming mitts to help their nervous patients reduce the stress of getting dental work. Want to take advantage of this easy technique? Just warm your hands. How warm? 95 degrees is suggested. The easiest way is simply to put on mittens. If you are worried about looking dorky, don’t worry: there are many stylish mittens available on Etsy these days. You can also use a heating device such as heating pad, or soaking hands in warm water. 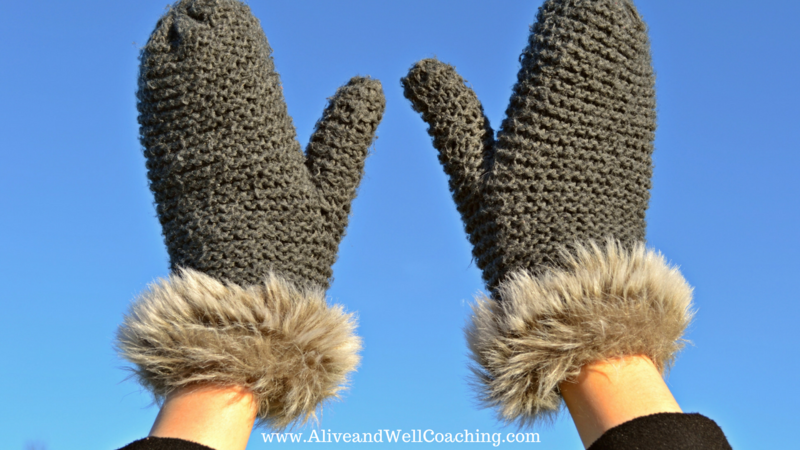 Even better is learning how to consciously warm your hands. Most people are surprised that this is even possible! By using biofeedback (in this case a simple thermometer) and diligent practice (coaching can help), you can warm your hands from their normal room temperature (from 75 degrees to 85 degrees) to an optimal 95 degrees. Biofeedback simply means to use a visible (or audible) tool that tells you (“feeds back”) some aspect of your body state. In this case you can see which technique works to raise your hand temperature a little. More focus and practice yields better and better results. Once you know how to do it effectively, you don’t need the thermometer any more. Biofeedback works better than mittens because it is your unconscious brain you are actually training. If stress or anxiety is causing cold hands, then learning how to reduce your stress results in warmer hands. Problem solved, and no more wearing mittens during those stressful meetings at work! Learn more about biofeedback therapy and how you can decrease migraines, stress, insomnia and chronic pain!